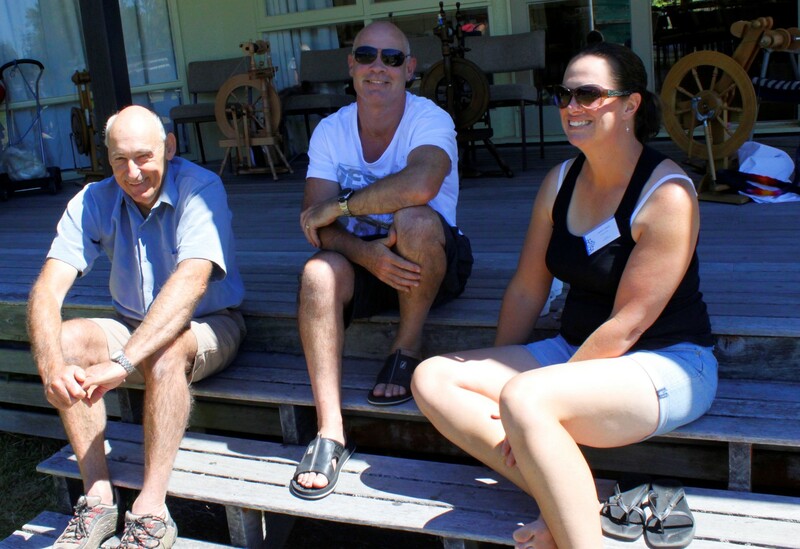 Settled into a beautiful scenic location just outside Rotorua, on the North Island of New Zealand, more than 80 people came from all over NZ, AU and even farther to attend this weekend and share the experience together. 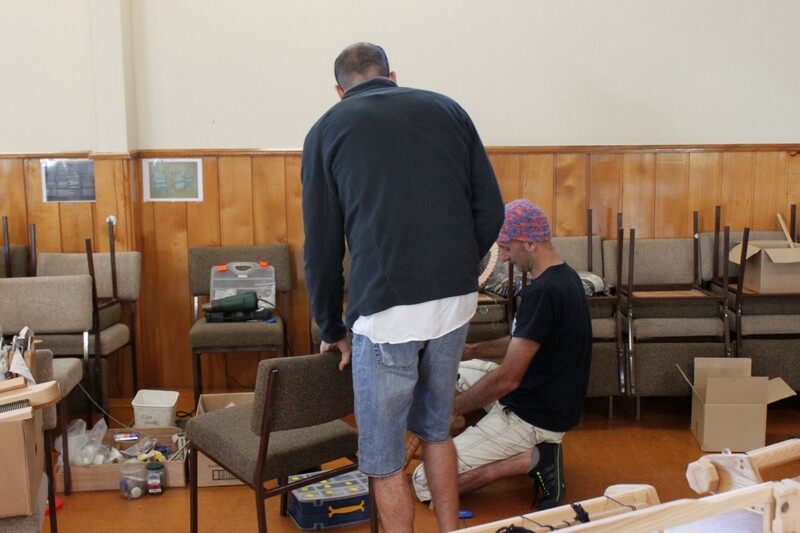 Folks unloaded wheels and looms and bags and bags of fiber. Roommates were assigned and friendships were quickly made as the weekend started off with a bang on Friday afternoon! There were even possibly a few glasses of wine shared at a lively happy hour after Friday’s classes. With sunshine and laughter and wine.. it was setting up to be the perfect weekend! I was so lucky to be one of many amazing teachers included at this year’s retreat, hosted by the amazing folks of Majacraft. I shared a couple sessions of my Speed Dating with Fiber Tools class.. where I taught everyone techniques on preparing both combed and carded fiber prep on the different tools available to artists. 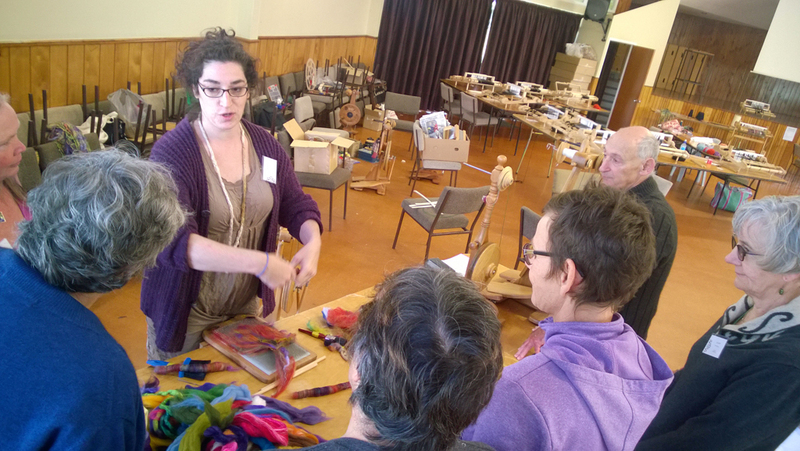 I also had a blast teaching a couple rounds of Creative Spinning to Weave. 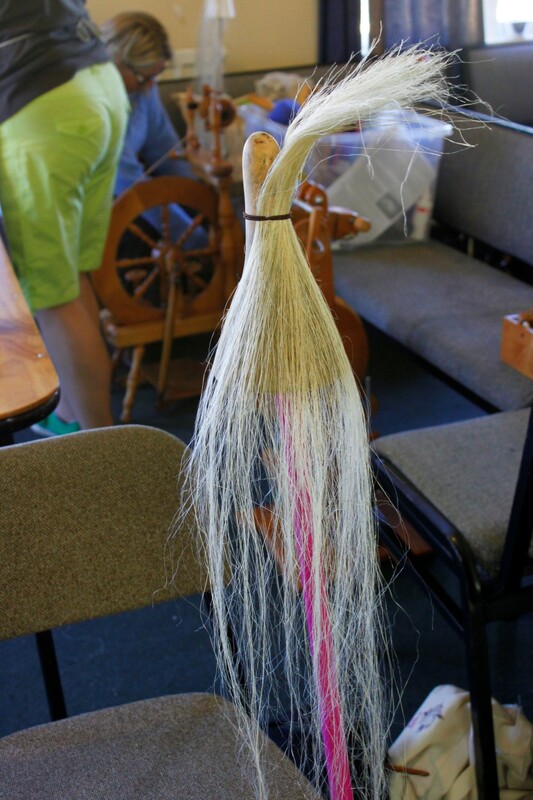 We showcased some different textured spinning techniques that really sing when woven. 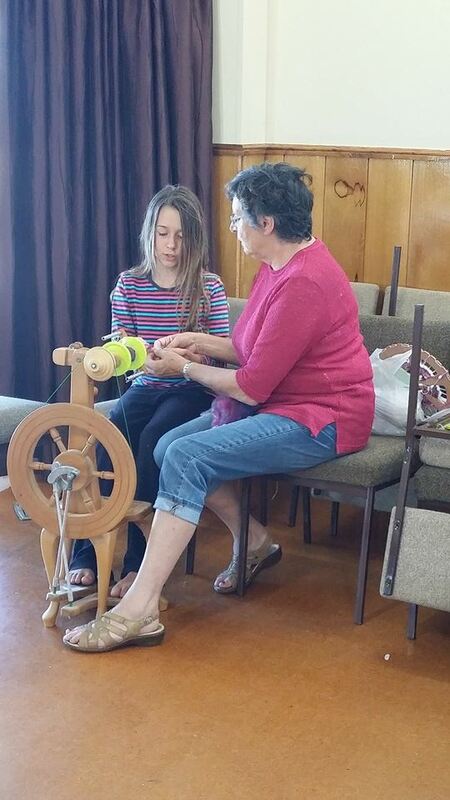 I was so happy to see my students having AHA moments while preparing their fibers and spinning their yarns. 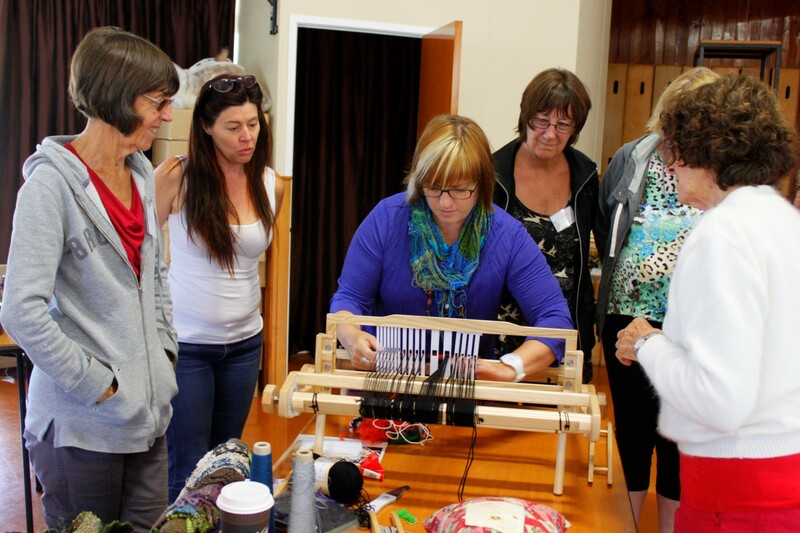 Doni Grant was there to teach creative weaving on the amazing Dynamic Heddle loom. 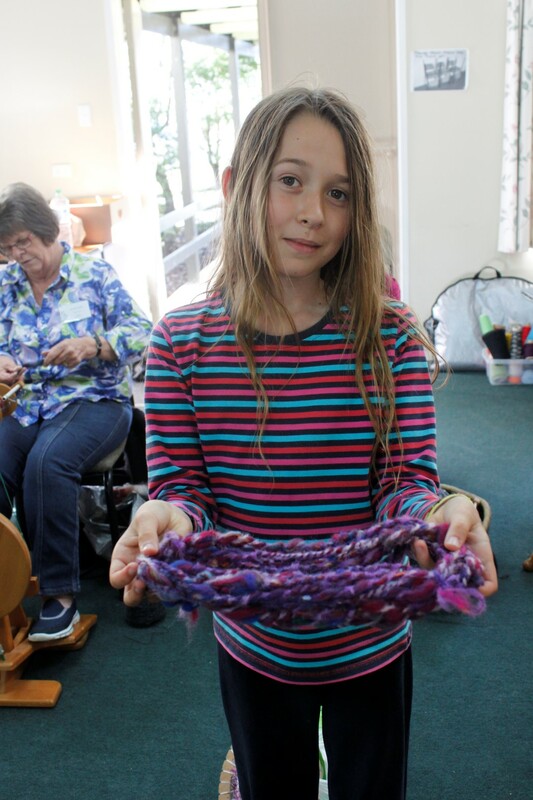 The pieces that came out of that class were inspiring! It’s always incredible to me to see how people who have never woven before can create harmony their first time weaving on a loom. The days were spent learning in classes and shopping with the beautiful vendors. Bright silk and handpainted tops, natural fleeces and rovings and squishy pelts.. and maybe the yummiest merino/possum yarn that I happened to come home with a few skeins of..
Andy and Rob Poad were busy the entire weekend checking out people’s wheels and making sure they were in tip top shape! Such angles they are.. who doesn’t want to have their wheel seen by a doctor for a checkup! Evenings were spent sharing stories and knowledge. 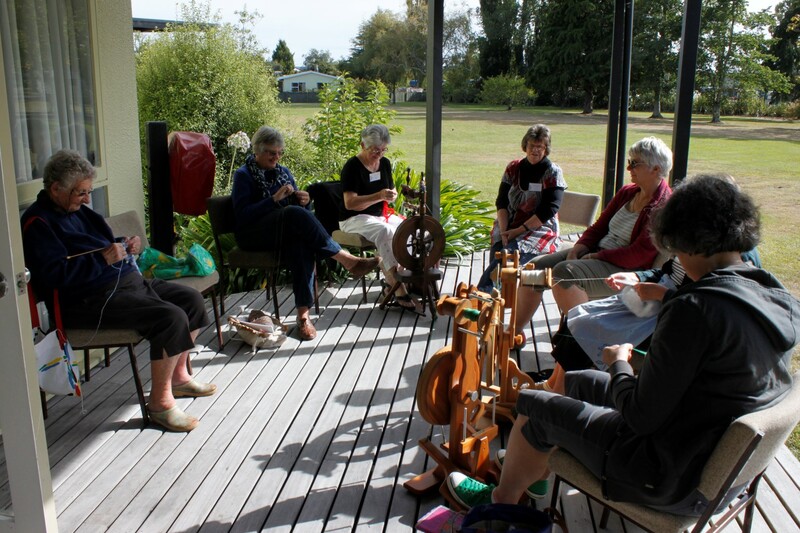 There were spinning circles, knitting circles and general hilarious circles. We heard about how the designers of the knitwear costumes on “the Hobbit” did their thing and we gave eachother “spinner’s massages”. 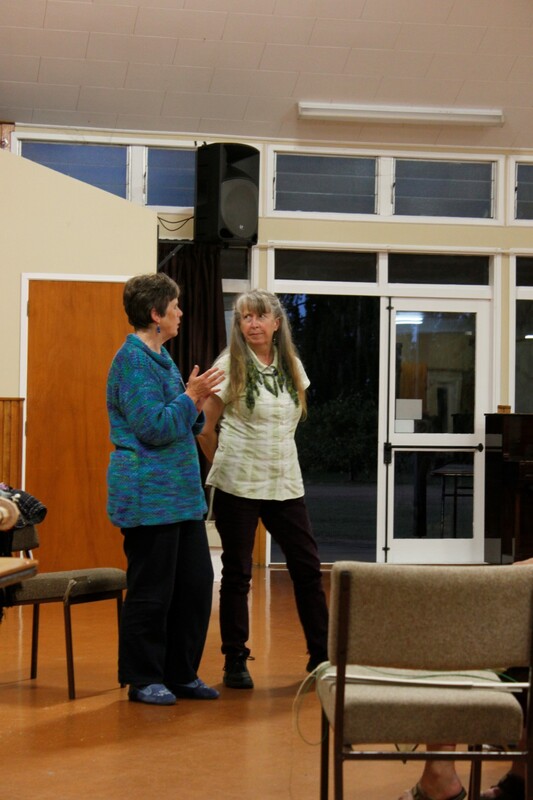 Donni gave a talk on color and different ways to use it and be inspired by beauty around us. And did I mention the spinning circles? We drank tea and had cookies… there was possibly a few glasses of wine at happy hour.. There was lots of beautiful sunshine.. and there was never a dull moment..
Too soon it was Sunday afternoon and people were packing their cars, exchanging raverly and facebook names and making plans for next time. It’s alawys so amazing to experience the bonding that happens at retreats like this. 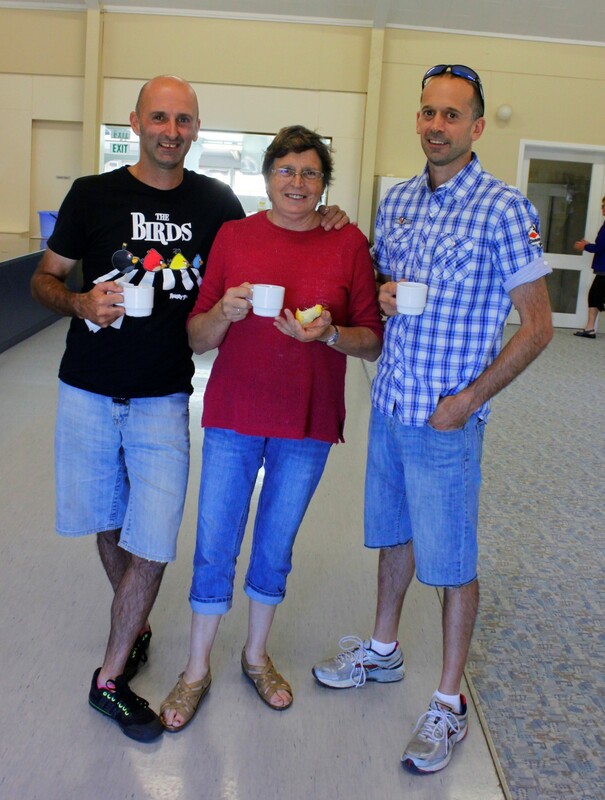 The shared learning and laughter really is a very strong bond. As for me.. my hopes are to return to New Zealand much sooner than later. I am already missing the warm days and cool nights, and my new friends at Majacraft. It’s important for me to give a few words of thanks to those great folks of Majacraft by the way- Glynis and Owen, and Andrew and Rob Poad, as well as Lance and Andrea.. If it weren’t for the Poads.. I wouldn’t have had this amazing experience. I wouldn’t have met such great people and had such a wonderful time. They put on a wonderful event.. and are inedible hosts. I count the days until I can return. I’ll be searching for flax plants to strip and fondly recalling the taste of fejoa sparkling wine. Thanks for the great story Esther. I love the pictures and it brings back lots of good memories!